Not Another Agency is pushing for diversity in a radically uniform industry. Founded in 2015, Not Another Agency has had a pretty big few years. The relatively new creative agency – which represents models, stylists, photographers and make-up artists – was borne out of frustration, as business partners Dean Ryan McDaid and Emma Fraser found they were at a loss when trying to illustrate a new Ireland. 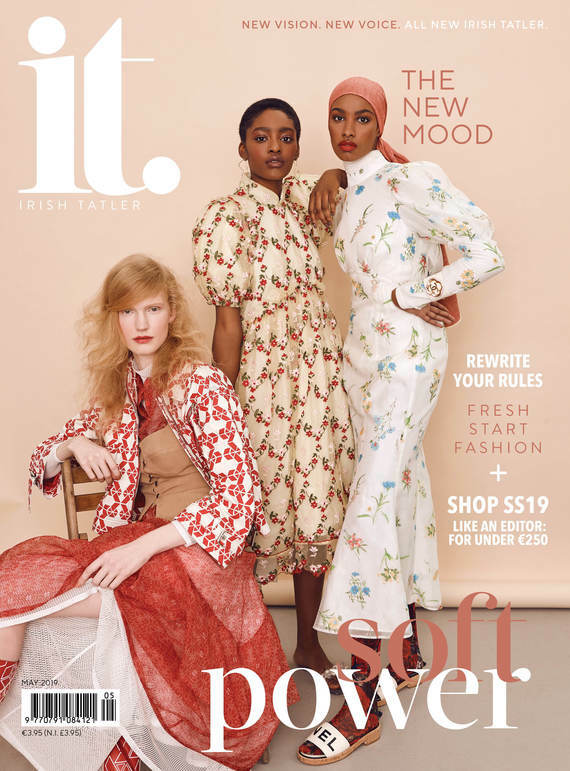 "Together we ran vintage clothing company Nine Crows where we would find out own models for e-commerce and lookbooks," McDaid tells Irish Tatler. "We could never really find what we were looking for with other Irish agencies and found the process of booking models quite hard through agencies here. One thing we really identified was the lack of diversity." "We realised that Ireland is such a different place from what it was 10 years ago and this new Ireland needed representation in the industry. We saw a gap in the market and from this, Not Another was born." While their name may not have reached familiarity status just yet, their models might; as 19-year-old Oisín Murphy – who can be credited for singlehandedly bringing GAA jerseys back – featured in the August edition of Vogue Paris, sporting a full O’Neills kit while doing so. The shoot, which sees Murphy pose arm-in-arm with model of the moment Adwoa Aboah, was shot in Antrim for a piece labelled 'a tale of romance'. "When we first launched, we garnered a really great response overseas and, very quickly, started placing our models with top agencies including IMG, Elite, Wilhelmina and Storm, among others. IMG boasts Candice Swanepoel, Gigi Hadid and Gisele, among others, on their books. "Our work overseas happened a lot quicker than our work in Ireland," McDaid continues. "More recently, we have worked very hard to find models suited to the Irish market and have been getting a large amount of work here in Ireland, too. "Our team has now extended to five people with Aislinn Ellen Lawlor running our fashion section and managing the agency and Rebecca McLaughlin running our commercial section." Models on Not Another's books have graced the pages of French and Italian Vogue, Dazed, iD Magazine, GQ, Esquire and Women's Health, to name a few. They've also walked for designers such as Alexander Wang, Neil Barrett, Ashley Williams, Dries Van Noten, Givenchy, Dolce & Gabbana and, most recently, the agency cast six models in the Vetements AW19 show in Paris. Not Another has also tapped firmly into the commercial market, dominating e-commerce sites such as Nasty Gal, ASOS, Urban Outfitters and Levis. And it seems that the sky's the limit. "For 2019, we're all about growth," McDaid reveals. "We have started working with Irish and international clients on casting and producing campaigns which has been very exciting and we have some great new models to work here and overseas. "It's set to be our best year yet." You can follow Not Another and their big plans for 2019 via their Instagram page.